Dr. Habib Dalhoumi always appreciates feedback from his valued patients. To date, we’re thrilled to have collected 17 reviews with an average rating of 4.94 out of 5 stars. Please read what others are saying about Dr. Habib Dalhoumi below, and as always, we would love to collect your feedback. Effective treatment by people who care that you get results. I recommend the laser hair removal. Provided amazing patient care. Technique and procedure was so much better than I had anticipated. Dr. Dalhoumie is amazing! Very professional and down to earth practitioner. Despite being there for cosmetic services, the conversation was thouroghly pleasant. Definitely would go back! I am so grateful to Inspire Wellness and Dr. Dalhoumi for inspiring and empowering me to transform my well-being to optimal levels..I weighed 205 pounds and was invited to your amazing weight loss fitness bootcamp challenge where Dr. Dalhoumi enlightened me with the 5 M Weight-loss approach that incorporates: medication, meals, movement, motivation, and maintenance....My initial consultation was impactful and motivating. I embraced weekly phentermine medication, along with nutritiously balanced meals and regular exercise routines. All of this resulted in my feeling better and shedding pounds which reinforced continued maintenance of my newly learned behaviors ...I reached my goal of 165 pounds in no time and have easily maintained my optimized levels...Additionally, I am enrolled in the Hormone Optimization plan which enhances my health to even more profound levels. I therefore feel better and am more in tune with understanding and knowing myself better. The Inspire experience has been quite transformational, awe inspiring and so beneficial to me....The friendly and highly skilled team memebers like Jasmin and Janett have also been amazing at my weekly/biweekly visits throughout the last two years and I will continue looking forward to receiving wellness- centered services so excellently provided by Dr. Dalhoumi. Dr. Dalhoumi and his team are amazing. Extremely professional and patient with all of my questions and concerns. I highly recommend them to all of my colleagues and friends. If you are considering their services, rest assured that you will be in excellent and capable hands. Will continue to refer them to everyone in my network of friends, family and colleagues. Now that I've turned AARP age I thought it would be beneficial to visit a wellness clinic. My fiancee had been going to Inspire Wellness for years and suggested them. My first visit was a 30 minute free consult where they assessed my current health and what my short and long-term goal(s) were. They also took my blood to see what I was lacking in vitamins and minerals. A week later I had my follow up where based on my blood test and goals they custom made a weekly treatment program. It has now been over a year and at age 51, I'm stronger, leaner and have more energy than ever. 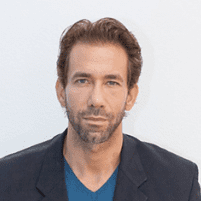 Dr. Dalhoumi is the creative genius behind Inspire Wellness and was the first physician in San Diego to introduce an innovative and exciting approach to functional medicine and well being. I highly recommend this clinic and don't wait until your 50 to go. I have gone to Inspire Wellness 3 times now and each time I go it is a pleasant experience. I purchased a laser hair removal Groupon and so far have been pleased with the results. The technician is always very kind and makes the experience very pleasant (NO AWKWARD MOMENTS). The facility itself if very clean and sleek and staff was very friendly. I love this place. Everyone who works here is super helpful and very nice. I've gotten some vitamin shots here and although I hate needles the staff is always so cognizant to make me feel relaxed and comfortable. Jennifer the manager is always the first one to explain everything to me and make sure I understand what I am signing up for. As well as have all of the information on any products or services I've purchased. I would recommend this place to anyone! I went for a vitality vitamin injection for the first time a week ago and felt a sense of super energy and it lasted throughout the week! The staff was very friendly and accommodating. I will continue getting weekly vitality shots to get that peppy boost and sense of healthy overall balance. I strongly recommend the services I have received in the past including filler by Dr. Dalhoumi who is very attentive and does remarkable cosmetic work. My bloodwork in the past was analyzed promptly and discussed in an understandable fashion which was very reassuring. I look forward to my continued visits to Inspire Medical Wellness!